At American Family Fitness, we can’t wait to join you on your quest for fitness. Our gym offers different training options (personal, small group, and nutritional training) to help you meet your goals. The best news? Members receive a personal consultation to get started. We'll be with you every step of the way. We truly believe that everyone can benefit from training at our gym. 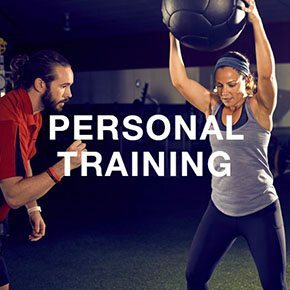 At American Family Fitness in Glen Allen, a certified trainer will help you identify your current fitness level, assist you in creating goals, and help you learn the most effective exercise for your time and effort. With proper training, along with an emphasis on nutrition, you will quickly reach your goals. We'll even get you started on the right track with a personal consultation. The way to better fitness is easier when you have someone alongside. Our gym in Glen Allen provides personal trainers to teach, cheer, encourage, and hold you accountable. Learn the most effective exercise, including intensity and duration, that will bring results. American Family Fitness offers each member a consultation with a personal trainer to get started. Do you enjoy one-on-one training but also the energy of a group class? 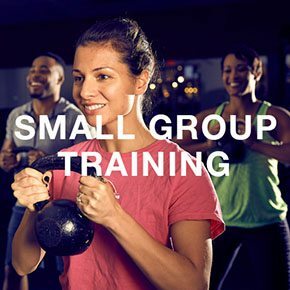 With small group training at our Glen Allen gym, you can have the best of both. Group class size is limited, so you’ll have focused training and attention, but you’ll also share in the energy of others. 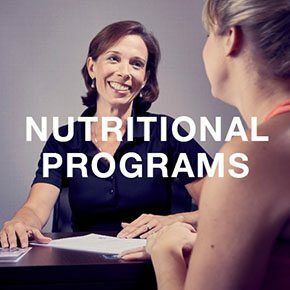 Nutrition and exercise go together, and so we offer registered dietitians to help you reach your health and weight loss goals. You will learn about food choices, exercise and training options, and the variety of weight loss programs we have in place for success.